S Janaki sang melodious solos under baton of all music directors. 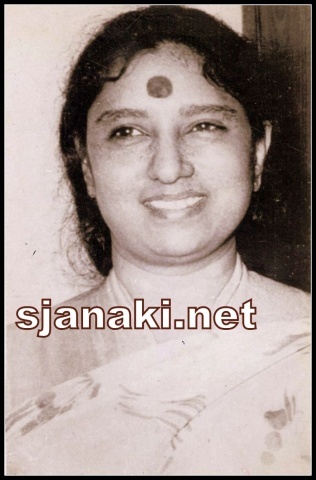 K Viswanath (Legendary Director known for his musical movies) said in a TV show that the voice of S Janaki is a “Kamadhenuvu” (A holy cow which gives whatever you want) to the music directors and they explored her voice to the maximum during the 70′s and 80′s. It would be difficult to post all her solos at one place. So let us listen to them in different volumes. Here you can listen to her melodious solos for various heroines and supporting actresses. During her long spanning career of more than five decades she sang for several heroines from Savitri to Simran. Wider variety is specialty of her solos. Let it be the innocent “Pagale vennala” or the dramatic “Ee Duryodhana”, or songs like “Oka Maatundi ” in lower notes to “Sirimalle Poova” in higher notes, or happy singing of “Aakasham lo aashala” to a sad note in “Meghama dehama”, or a sense of satisfaction in “Neeli meghalalo” or a complete frustration in “Vennelo godari andam”, her solos have a completeness in themselves. Melodies Forever Volume 1 Click Here..
Melodies Forever Volume 2 Click Here..
Melodies Forever Volume 3 Click Here..
Melodies Forever Volume 4 Click Here..
Melodies Forever Volume 5 Click Here..
Melodies Forever Volume 6 Click Here..
Melodies Forever Volume 7 Click Here..
Melodies Forever Volume 8 Click Here.. Songs of extreme emotions! Click Here..
Ee Duryodhana song with translation Click Here..
S Janaki has always been a synonym for versatility. Her romantic songs are equally popular (if not more ) than her evergreen melodies. Several movies had these sizzling and sensuous songs as one of the main reasons of success. 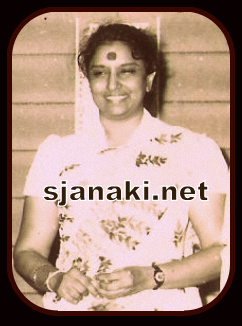 In the case of S Janaki, music director Satyam gave several such hits to her. At one stage in the 70′s almost all his movies had a song by S Janaki with great variations. Slowly all music directors followed the same and she got to sing some hundreds of such songs. Ilayaraja gave several tough compositions to her. Drunkard Expressions, Sizzling Sensuous notes.. what not, she performed everything with an inimitable perfection !!!! S Janaki narrates in an interview that there were some situations where she was very reluctant to sing such songs some times as it may disturb her other recordings, but music directors were forcing her to sing saying that they made those song keeping only her in their minds. When asked about her feelings on singing sizzling songs when she has excellent classics like “Nee leela padeda”, she says “An artist will be complete only when they perform every genre”. True to her words, she excelled in every kind of a song!! We explore S Janaki’s works for sizzling romantic songs here..
Sizzling Sensuous Solos Volume 1Click Here..
Sizzling Sensuous Solos Volume 2Click Here..